Is there a better time to be in the UAE than right now? The weather is, finally, perfect. The events are coming in thick and fast, and it seems like every other week there’s a great new concert to book tickets for. 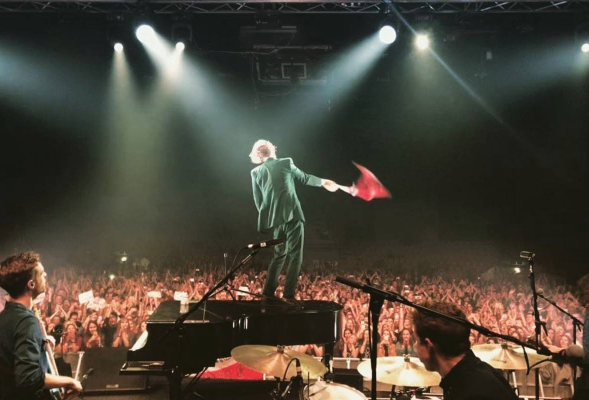 Case in point, the announcement of British singer-songwriter Tom Odell in concert at The Rotunda, Caesars Palace Bluewaters Dubai on March 12. Tickets are now on sale now from Dhs250. Odell has since earned the highly prestigious Ivor Novello Award for Songwriter of the Year in 2014 and the Brits Critics’ Choice Award in 2013 at the ripe old age of 22. To date, Another Love has over 191 million views on YouTube. Odell is currently on tour promoting his third studio album Jubilee Road across Europe and Russia. Catch him in Dubai while you can.